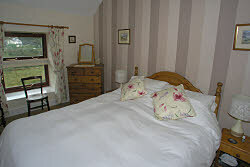 SnowdoniaHouse.co.uk offers 2 self catering holiday properties in between Beddgelert and Caernarfon. They are in the Snowdonia National Park near the foot of Snowdon in North Wales. 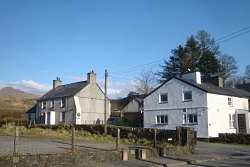 Ty Capel and 2 Glanfa are in the mountain village of Rhyd Ddu, and are ideally situated for exploring the whole of Snowdonia and the rest of North Wales. They are located next to each other in the village. Ty Capel is at the foot of Snowdon in Rhyd Ddu between Beddgelert and Caernarfon, and offers self catering accommodation for up to 9 people. This self catering property features wi-fi, and a modern lounge with stunning mountain views. .. more about this self catering near Snowdon. 2 Glanfa Holiday Cottage is an end of terrace former Miner's cottage in Rhyd Ddu. It is next to Ty Capel, at the foot of Snowdon between Beddgelert and Caernarfon. This holiday cottage sleeps 4/6 people. This cottage features a conservatory. .. more about this holiday cottage near Snowdon. Both self catering properties are located at the foot of Mount Snowdon in the village of Rhyd Ddu in the Snowdonia National Park, between Bedddgelert and Caernarfon. The larger property, Ty Capel, is a self catering house that sleeps 9. 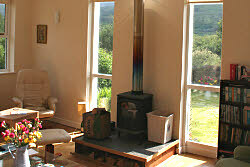 2 Glanfa is a holiday cottage that sleeps 4/6. Check the availability section for the latest availability, prices and special offers. These cottages are ideal for exploring Snowdonia and North Wales, and are accessible from the UK motorway network via the North Wales Expressway - see out routeplanner. 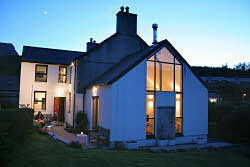 Content is copyright SnowdoniaHouse.co.uk Self Catering Accommodation, Snowdonia, North Wales, UK.